A successful crop is more dependent on good timing than many new farmers realise. He noted that many students who finished university with a very good academic record failed to make it into the ‘big time’. They had the knowledge, he said, but those who became successful had a better sense of timing. This applies equally to farming. 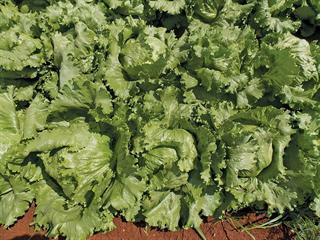 To become a successful vegetable farmer, knowing what needs to be done is not enough. It’s the timing of each step that can make all the difference between a good yield and a mediocre one. With cabbage, for example, the timing of the first nitrogen application can determine the potential of the yield. This application enables the plant to produce a large frame for a top yield. Miss out on this and you won’t be able to catch up later. With carrots, if you get the timing of the first application of post-emergence herbicide right, you will get better results with less herbicide. It’s the same for all crops – timing makes all the difference. When it comes to vegetable farming, procrastination is not only the thief of time, it is the thief of profits. It can happen very easily. You intend to implement a management practice today, only to have your tractor driver tell you that the rear wheel has a huge gash in it. Or that the tractor has bumped an irrigation riser, stopping irrigation and needing immediate attention. All of these things divert and distract you, causing you to miss crucial deadlines. Many years ago, I visited three farmers who had joined up to produce cabbages. I spent some time carefully explaining each step in the process, while they took copious notes. A few months later, I returned, expecting to see a wonderful crop. Instead, I was greatly disappointed by what I saw. To work out what had gone wrong, I asked the farmers if they had followed all of my instructions. Concerned by their response, I went through each step – and discovered that a few had been skipped. When I asked why, they told me they did not think these steps were important. Sometimes, you can achieve some success even with a lack of knowledge and experience, as long as you follow the procedures outlined by an expert.This was illustrated to me by a former colleague, who told me about a new, inexperienced farmer who had bought a farm next to a successful maize farmer. He did not even know what ‘N:P:K’ stood for on the fertiliser bag, but simply followed the advice of his successful neighbour and had equally good results as a consequence. Good advice may not be as forthcoming if your neighbour sees you as a potential competitor. This is understandable, as your success will mean more competition on the market. So you need to be sure any advice proffered is valid. Consult multiple sources and carefully analyse what you are told. Keep your eyes open. Scrutinise your crops, look for good and bad spots, and try to determine the reasons for poor performance. In this way, you will better understand the crop’s requirements the next time you plant. I cannot emphasise too much how important timing is for so many aspects of vegetable farming. Another example: when it comes to pest control, spraying when caterpillars are at a young stage will make a great difference in efficacy. Also, many more products will be able to control the pest at this stage. In the case of lettuce, you’ll catch the pests when they are in a vulnerable position instead of already being ‘safely’ in the lettuce head (or cabbage). The time frame you have may only be a matter of days, but getting it wrong can be costly. In short, you need to actively develop a sense of good timing and discipline in order to become a successful vegetable farmer.